Power Spy - The best internet & PC activity surveillance software! 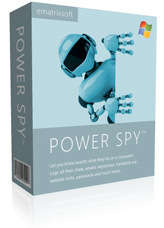 Power Spy software is a Windows PC user activity monitoring software. It lets you know EXACTLY what others do on your desktop, laptop and tablet PC while you are away. It secretly monitors and records all activities on your computer. Such monitoring acts so stealthily that the user won't know its existence. Power Spy software records all Facebook use, keystrokes, emails, web sites visited, online searches, chats & IMs in Skype. It also records clipboard data, passwords typed, documents opened, windows opened and applications executed. Power Spy software even takes screenshots of system Desktop screen every X seconds like a surveillance camera, which may include Windows Store apps like Facebook Messenger, WhatsApp, Hangouts, Tinder, Viber, Skype, Google Talk, Telegram, LINE, Yahoo Messenger and others. It starts automatically with system startup, runs secrectly and sends log reports to your email or FTP. You can check these reports anywhere you like. Skype Spy Monitor Pro is the best Skype monitoring software. It secrectly monitors and records all Skype incoming and outgoing instant messages, voice calls and video chats. All log data will be sent to your email / ftp and you can check them on other devices remotely. Facebook Spy Monitor secretly records PC users' Facebook private profile, emails, chats & IMs, photos, interests, contatcts and events. It secretly takes screen snapshots every X seconds like a surveillance camera aiming at the monitored computer. It displays exact activities, like Facebook, computer games, internet searches, file transfers, emails, Messenger, WhatsApp, Hangouts, Tinder, Viber, Skype, Google Talk, Telegram, LINE, Yahoo Messenger and others..
Keylogger Spy Monitor is the best PC keystroke logging spy software. It secretly records all keystrokes typed on your computer keyboard. You can also retrieve the computer user's name and password with this program. As often seen in a movie, old-fashioned spying conducted by amateur and professional spies includes techniques of stealth, trickery and deception known a half century ago: shadowing by car, peeking at letters and diaries, donning disguises, breaking-and-entering, taking photographs and tape recording conversations. Contemporary technologies of data collection make secret covert surveillance available on computers, telephones, mobile phones, smart TVs or even wearable devices. PC spy software, also known as computer monitoring software, is a computer program that secretly monitors the desktop and online activities of employee, family member, roommate or other user's activities on your computer. Sometimes referred to as parental control software, spy software can monitor and record PC and online activities of your child in system background. More actively, it may filter contents or block offensive websites from being accessed. Computer spy software runs in complete stealth mode, so it's invisible to others. It works like a personal detective that investigates someone using the computer, collects important data and makes it easy for you to find out the truth. Spy software contains no icons, program groups or any other mention of the program. It allows you to access the logs remotely via email or ftp, or open the spy software's control panel directly on the monitored computer by pressing a set of secret keys together. Why I Need Spy Software? Use spy software to protect your children's online safety, stop them from sexting, communicating with online predators, or visiting inappropriate web sites. Also track children's offline risky behaviors: smoking, bad eating habits, alcohol or drug abuse, suicidal behavior, self-injury, crime, violence, teen-age pregnancy, running away from home. These behaviors may also appear in children's online chats, IMs, keystrokes or emails and can be tracked by spy software. 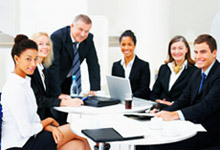 Use computer spy software to track what your employees are really doing during work hours. Monitor and check if they are punctual for work, if they are shrinking work hours or dealing with personal matters in office. Spy software can also be used to testify employees' loyalty, detect their dissatisfaction to make proper retention methods in advance to prevent outstanding staff turnover and business secrets leaking. Use spy software to protect your marriage, relationship and yourself. Find out if your spouse is cheating on you as early as possible to make a decision to save the marriage or get a divorce to protect yourself. Collect evidence that can be used for your divorce case.